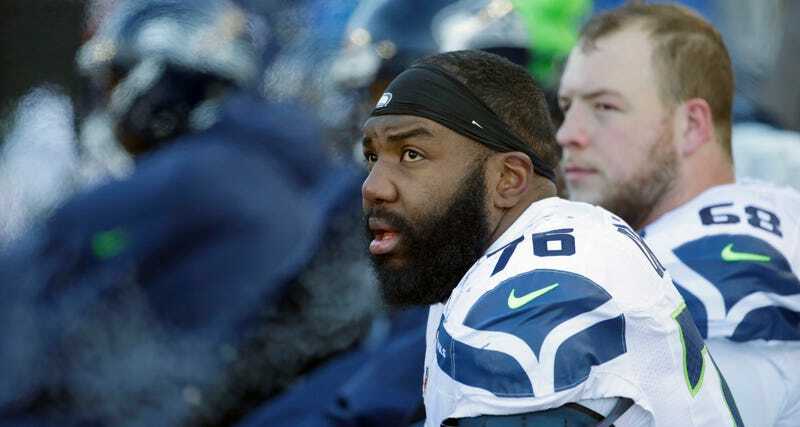 Russell Okung negotiated his way to the Broncos on a five-year, $53 million contract. Good for him! That’s a shitload of money for a player to get himself without the help of an agent. He’ll get to keep that extra three percent, which could amount to a cool $1.5 million. However, PFT obtained the details of Okung’s deal and it looks like he loaded the contract up with incentives and team options, and didn’t get any guaranteed money in the deal. Whoops! While this deal guarantees Okung good money as long as he’s healthy and playing, the Broncos don’t have to eat any extra money if they want to dump Okung. His contract allows the team to renew or not renew Okung whenever they so please. You would think he’d learn a few lessons from his dumb holdout, but alas, doesn’t look like it.